In Wristwatches > Mickey Mouse Watches > Show & Tell. After the first introduction of Mickey Mouse wristwatch at the 1933 Chicago Exposition, by late 33/early 34, the watch dial has received an update. The number 5 and the number 7 were reduced in size and an arrow pointer was added to the seconds disc. The rest of the timepiece has remain unchanged. To Dave, official, DrFluffy, gargoyle & Phil, with my grateful thanks! Thank you pops, Mani & Mickey for loving the post! Much appreciated! Thank you Kerry! Much appreciated! I'm surprised Kerry didn't beg to get his hands on these! To ozmarty, Jason & Designerwith my grateful thanks! Thanks for visiting & loving the post AntigueToys! Much appreciated! Thank you crswerner for visiting & loving the post! very much appreciated! To sanhardin, shughs, sugargirl & inky with my grateful thanks! Thank you ttomtucker & tom61375 for visiting & loving the post! Much obliged! Thank you snoppy for loving the posting, big cheers! Thanks Roy for the appreciation! Thank you ZZ and Moonstone for hitting the love tab, big cheers! Thank you AAA & Aimathena for stopping by & loving the post! Big cheers! Thank you Vermont for visiting & loving the post! Big cheers! Thanks steller for visiting and loving the post! Much appreciated! Thanks vanskyock24 for visiting and loving this post! Much appreciated! Thank you petey! Very much appreciated! Thank you moonstone for visiting and hitting the love tab, very much appreciated! Thanks Frankiefig, Windwalker & fortapache for stopping by and hitting the love tab. Much appreciated! Thank you shanmu for the appreciation! What mean (aycockonxion) ? It's a new word to me ! LOL, no idea Sheriff! You need to ask Jason yourself! Lol! It means nothing to anyone by me and my family. 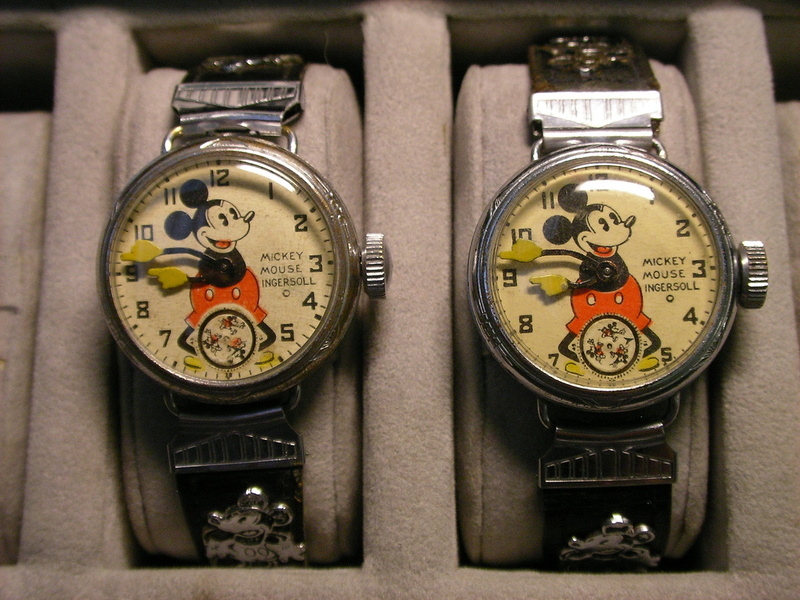 Question: would you say the 2nd edition late 1933/early '34 World's Fair Mickey Mouse watch came with a "low dome" crystal or a standard dome crystal?